Our Rose Petal collection is a beautifully feminine range of products. Inspired by a traditional apothecary formulation for extracting the wonderful natural properties and unmistakable fragrance of rose petals, our famous all-round beauty salve, Rose Petal Salve is sure become your beauty best friend. 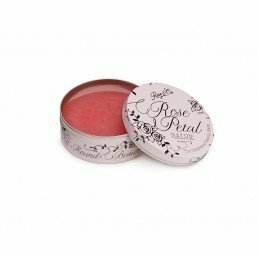 Our Rose Petal collection has an array of adoring fans - these beauty balms have a multitude of uses. From using Rose Petal Salve as lip balm, to using it for taming eyebrows and moisturising dry skin – our Rose Petal collection is a makeup bag must have.